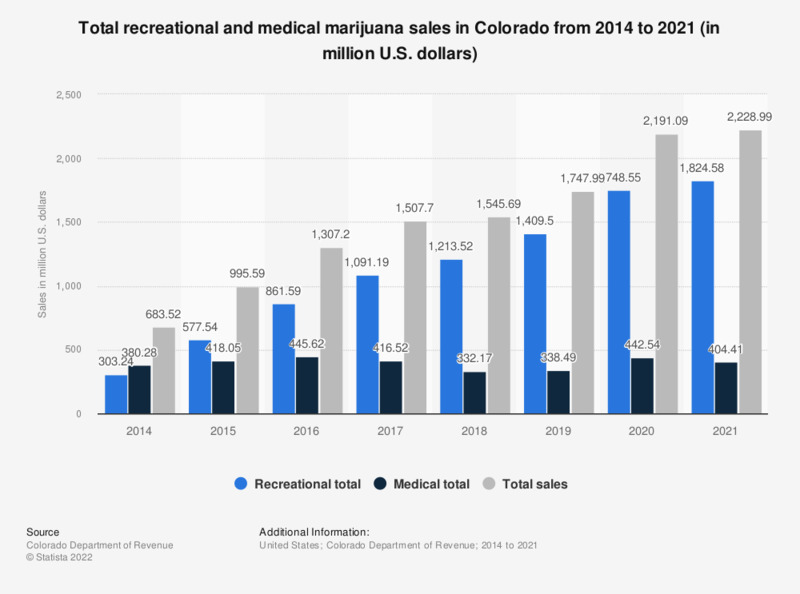 This graph presents medical and recreational marijuana sales in the state of Colorado for the years 2014 to 2017, in million U.S. dollars. In 2017, total marijuana sales in Colorado reached 1.51 billion dollars. Previous years' figures were taken from previous years' publications.